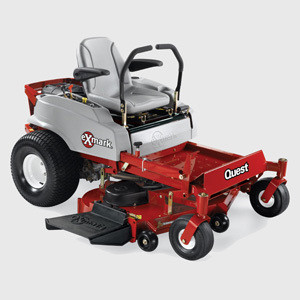 EXmark Zero-turn Mowers : John Stokowski & Sons, Inc.
Exmark Manufacturing was incorporated in May 1982 as an independent manufacturer of professional turf care equipment. 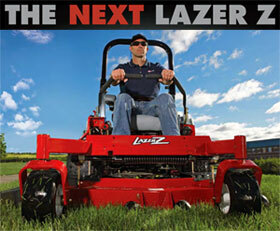 Today, it is the leading manufacturer of commercial mowers for the landscape professional. The company began its manufacturing operation with seven employees in a garage-type building located just south of Beatrice, Nebraska. In 1983, the company relocated to its present location in the Gage County Industrial Park in Beatrice. 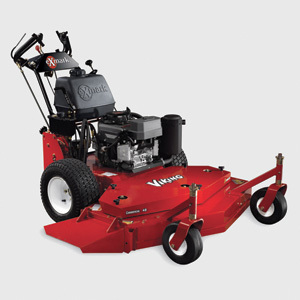 Initially, the company focused on the manufacturing of a line of mid-size walk behind mowers and turf rakes, and later the product line was expanded to include commercial riding mowers. In 1995, Exmark introduced the Lazer Z, a mid-mount zero-turn riding mower, that was quickly accepted by professional turf care contractors as a state-of-the-art machine. Today, this zero-turn product holds the leading market share in its category in the United States. 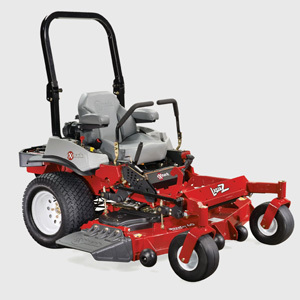 Exmark became a division of The Toro Company in 1997 with corporate headquarters in Bloomington, Minnesota. The added resources of The Toro Company help to assure Exmark's continued growth and market leadership. Throughout its history, Exmark has focused on two main goals: To design and build quality products that meet customer's expectations and to create a work environment that makes it possible to attract and retain employees. Exmark strives to meet the changing needs of its employees through its "Preferred Employer" efforts. A variety of activities and programs are in place.